This map shows mainly farmland. This area is now occupied by houses in the Muirhouse, Pennywell and West Pilton areas. 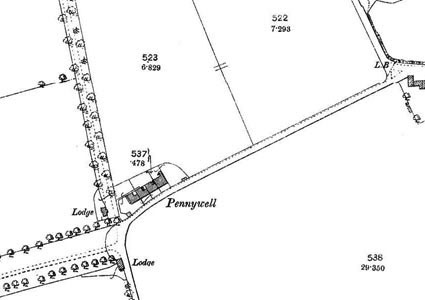 The road junction near Pennywell is now the location of the Pennywell roundabout. Beside it is now the new Craigroyston High School, completed in 2009. Running eastwards is now West Granton Road, southwards Pennywell Road and westwards Muirhouse Parkway. 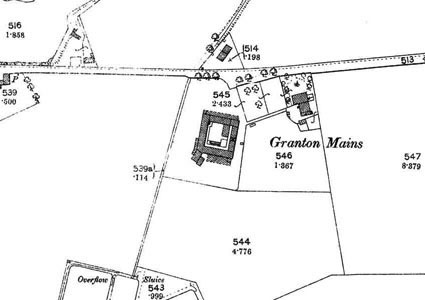 The pond towards the north east of the map was leter used for cooling water for Granton Gas Works. 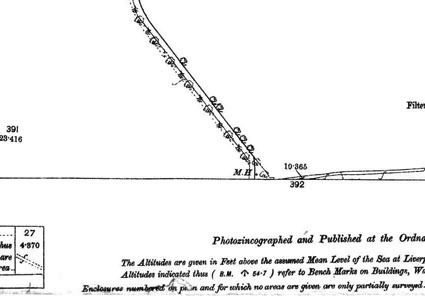 The reservoirs nearby survived until the mid-twentieth century. In the 1930s the Corporation houses at West Pilton were built to avoid them – they were in the middle of West Pilton Circus. 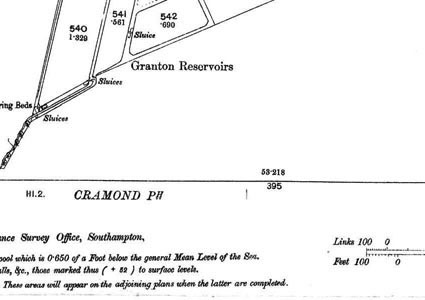 The reservoirs were later filled in and houses were built on the site on the 1980s.